The Mega Minion has been around for weeks since it was released last September 19. Many players have tried using it to check how this card can affect usual line ups and deck combinations. 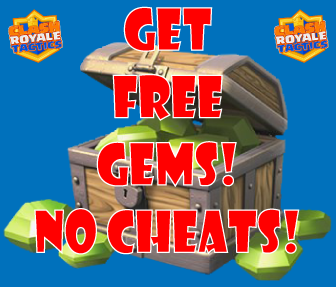 Now, it has gained much popularity in normal battles and tournaments. The Mega Minion is a flying/air troop, which has decent hit points and high damage. It is a rare card and can be unlocked in Royal Arena. It costs 3 elixirs to deploy and has a single-target, short ranged attack. It also moves slower compared to a normal minion, because of the armor, of course! In more comparison, Mega Minion became a better version of Minions in competitive battles. Though Minions have higher DPS output, they can easily be killed by spells and splash damages. Especially in the current meta where Poison spell is one of the most used spells, as well as its the presence in Trifecta decks. Due to this, the introduction of the Mega Minion can be used to counter current strong decks in the game. The Mega Minion can be used both defensive and offensive. However, because of its slow movement speed, it is not advisable to deploy it solo as the Crown Tower can easily kill it off. Using the Mega Minion defensively is a better way of using it. Deploying a tank in front after defending, especially the Giant, will be a good way of offense. A level 7 Mega Minion (cap of the tournament for rare cards) is very useful against many different cards. It can target both ground and air, including buildings. 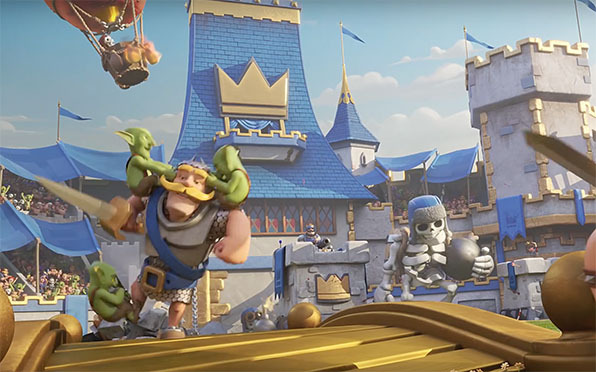 It can be used to counter Balloons, Lava Hound, and other flying units or evade damage from ground targeting troops like Goblins, Mini Pekka, and Knight. Mega Minion can work with any tanks, but ideally, there are two tank cards that work wonders with the Mega Minion. The Giant is a great card for its value to tank and deal damage. Having a Mega Minion as his support can help the Giant survive enemy’s defenses as well as prevent the Crown Tower from killing the Mega Minion. 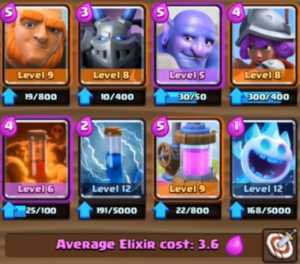 Adding splash damaging troops like Bomber, Wizard, Ice Wizard, Princess, or Valkyrie, can drastically improve its offensive power. The addition of Mega Minion is truly a blessing for Lava Hound deck players. 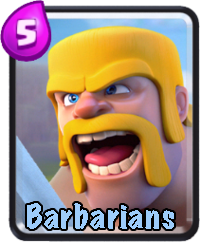 Usually, the Lava Hound deck is accompanied with Minion Horde, Baby Dragon or Mini Pekka. However, there are strong counters against this deck. Poison & Arrows spell can immediately weaken and kill attacks against the Minion Horde and Lava Pups, only the Mini Pekka can make a good push. Now, the Mega Minion’s hit points can withstand the damage of Poison spell and aren’t countered by Arrows spell. It also has a cheaper cost than Minion Horde, allowing more troops to deploy during an offensive attack. Being a well-rounded troop, the Mega Minion also work well with Hog Rider decks. Its cheap elixir cost can build inexpensive elixir average, allowing you to keep shuffling your cards throughout the game. 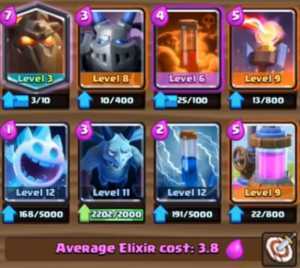 Usually, this deck comprises of low elixir troops like Ice Spirit, Fire Spirit, Spear Goblins, Goblins and etc. • Flying troop with good health and damage. It won’t be killed easily by spells. • It can withstand damage from Fireball, Poison, Arrows and The Log spells. • It can also survive from a full damage of the Fire Spirits. • It can be used as an alternative to counter Wizard-Sparky combo. Usually, the Sparky is accompanied by a support Wizard to kill any swarm troops on its way. But with a Mega Minion, it won’t die easily with a single attack from the Wizard. • It is also an effective counter to Balloon decks. A better option than the Musketeer because it can be killed easily by a Fireball. • Due to the increase of Bowler users, the Mega Minion can be used well against it. It won’t get killed off by spells and immune from the Bowler’s splash attacks. This Lava hound deck is really a wreck against your opponents without proper counters. You can either put the Elixir Collector or the Lava Hound as your first card to drop. Just be careful, because this deck is weak against early fast attack from Hog Riders/Mini Pekka deck combos. Wait until your elixir goes to maximum before deploying either of the two. Then, wait until how your opponent reacts to your Lava Hound. Drop the Mega Minion or the Minions afterward. If there is a threat in the air, talking about Minion Hordes, you can easily kill them with a Poison. 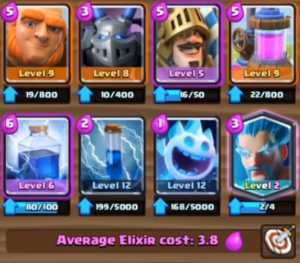 However, if there is an Inferno Tower, use Zap Spell and Ice Spirit to delay its increasing damage. This deck is a good balance of defense and offense. Having an Ice Wizard and Ice Spirit in both decks means you can slow down and counter as many attacks as possible. 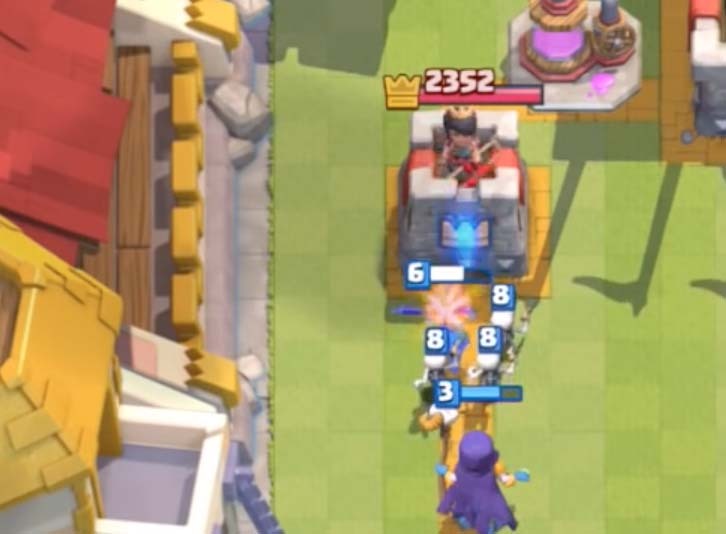 Also, having a Prince in a deck allows you to split push your enemy by deploying it in the opposite lane, while your opponent focuses on the other lane. The Prince can hit hard if it charges damage to the enemy tower. Also, the new Lightning spell is quite fun to use. It can instantly kill medium health troops and stun the enemy like Zap spell. You can also build your own deck with the Mega Minion. 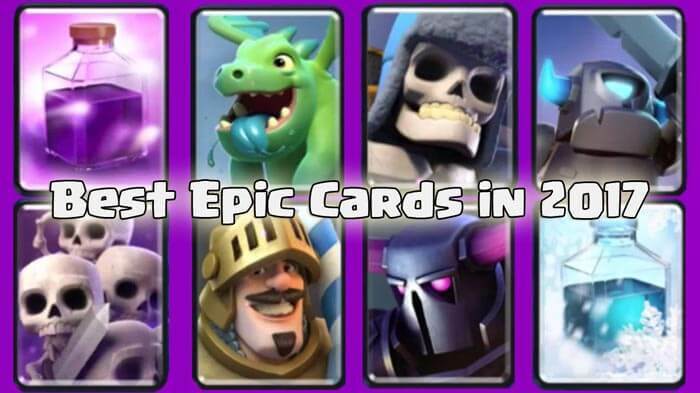 Just swap some cards from this list and choose what works for you. Just remember to include important cards in your deck like defensive buildings and swarm troops! Have fun playing the Mega Minion!